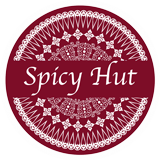 Spicy Hut Restaurant is an energetic business offering Pakistani and Indian dishes to clients throughout Manchester. 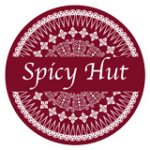 The restaurant, which is located in Rusholme (Manchester), was set-up in 1998 and has many years experience in the restaurant business. It has bagged two major Awards of Manchester. The restaurant provides local people with a professional delivery service and has facilities. The expert staff ensure clients live a healthier lifestyle. The service is intended to enjoyable every time. An online ordering service is available as well. The dishes are tailored to requirement and authentic. The main feature is sizzlers, making them flambe for presentation and aroma, and they are available throughout the year at a reasonable price. Free delivery within 1.5 miles for orders over £15.00,delivery charge applies. Minimum order value of £10 applies. All curries served are HALAL and Gluten free. No MSG or preservatives, artificial flavours or additives are used. We keep the nutritional value by using fresh herbs & Home-made spices.